A faixa (ravelry) já estava terminada há uns dias mas só agora voltou a estar fresco que chegue para a usar. A lã é a Beiroa nas suas duas cores naturais e o ponto chama-se vulgarmente entrelac mas também é conhecido e praticado há muitas décadas nalgumas aldeias portuguesas (com belas histórias a propósito para contar um destes dias). 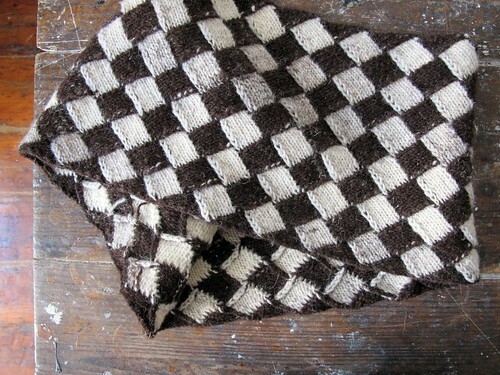 I’ve finished my knitted belt a few days ago but last week it was to hot to wear it. I’d been meaning to knit something like this for a long time, as I hate having my underwear showing when I wear low waist jeans. The yarn is Beiroa. 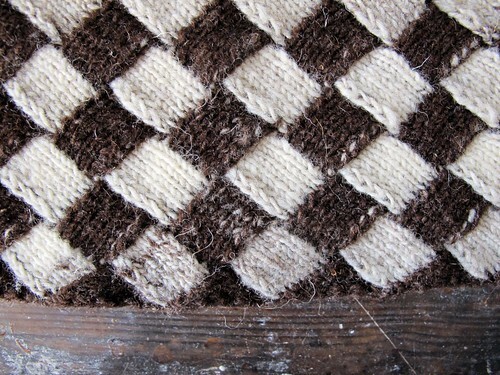 I had never tried entrelac before, but after finding out that it has been know for many decades in some remote portuguese villages (and associated with very interesting traditions – more on that later) I had to learn it (Ravelry). 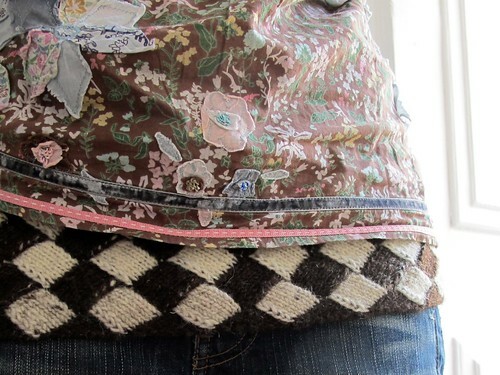 amazing knitting, Rosa, and it looks great as a belt. Adorei a faixa e a sua camisa também! Lindas imagens!